Roman Polanski’s iconic, Oscar-winning film “Chinatown” is a dramatization of California’s water wars. Based on real-life characters, this neo-noir film has been a cultural touchstone for decades, and it is a must-see for students of Southern California’s history. The film was nominated for 11 Academy Awards and won best original screenplay for Robert Towne. On August 4, Larry Mantle returned to the Theatre at Ace Hotel for another installment of FilmWeek Screenings to showcase the movie and host a post-screening conversation with special guests. The FilmWeek Screenings series – selected and hosted by Larry – is dedicated to movies set in Southern California. “Chinatown” was inspired by the battle for water rights between the city of Los Angeles and farmers, ranchers and residents of Owens Valley in the early 20th century. Shooting locations for the film included Echo Park, Brentwood, Glendale, Hollywood, Sunland, South Pasadena, downtown Los Angeles, Santa Monica, Rancho Palos Verdes, Venice, Crescent Bay, San Pedro, Catalina Island, Channel Islands and…Chinatown. 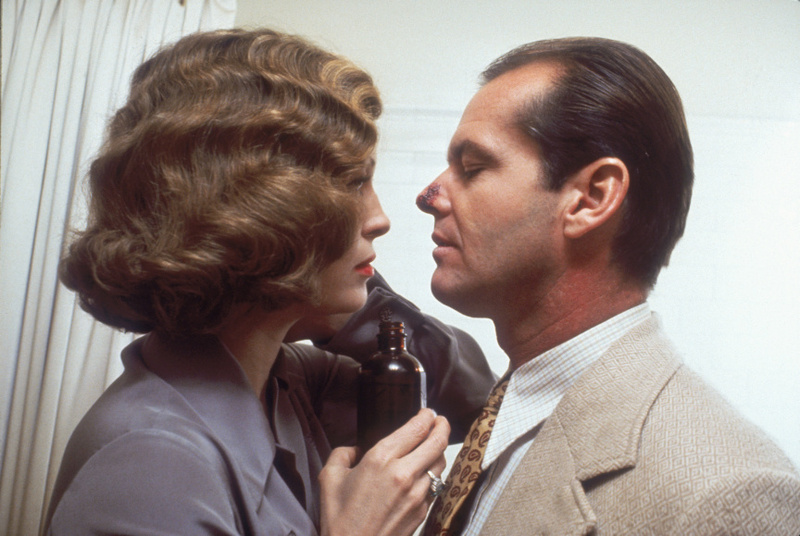 In the film, L.A. private detective J.J. "Jake" Gittes (Jack Nicholson) is hired by Evelyn Mulwray to expose her adulterizing husband. Not long after, he discovers he was hired by an imposter and meets the real Mrs. Mulwray (Faye Dunaway). Gittes then finds himself caught up in a web of deceit, corruption and murder. And Mrs. Mulwray’s father (John Huston) is a suspect. Please note that this movie is rated R by the Motion Picture Association of America. This rating suggests that the movie contains some adult material and those under the age of 17 are required to be accompanied by a parent or adult guardian. If you have any questions about this or the event, please contact us at events@kpcc.org.